Love that. It made me think about how some of my favorite novels have memorable houses in them. Here are 5 books I’ve read recently that revolved around them! 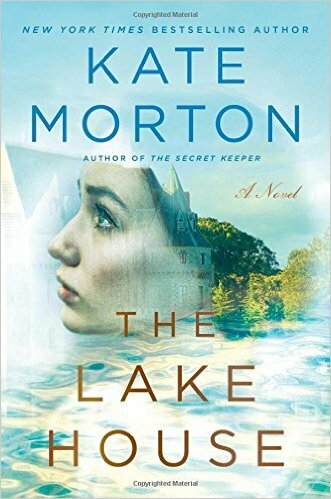 I couldn’t put Morton’s latest book down and spent the weekend totally immersed in it. It’s about a grand old home in Cornwall called Loeanneth (“lake house”) that has been standing empty, frozen in time “like Sleeping Beauty,” for decades. A detective named Sadie Sparrow is determined to get to the bottom of the mysteries the house has held onto since a baby boy was abducted from his nursery there in 1933. My jaw literally dropped when I got to the end and all was revealed. Loved this one! 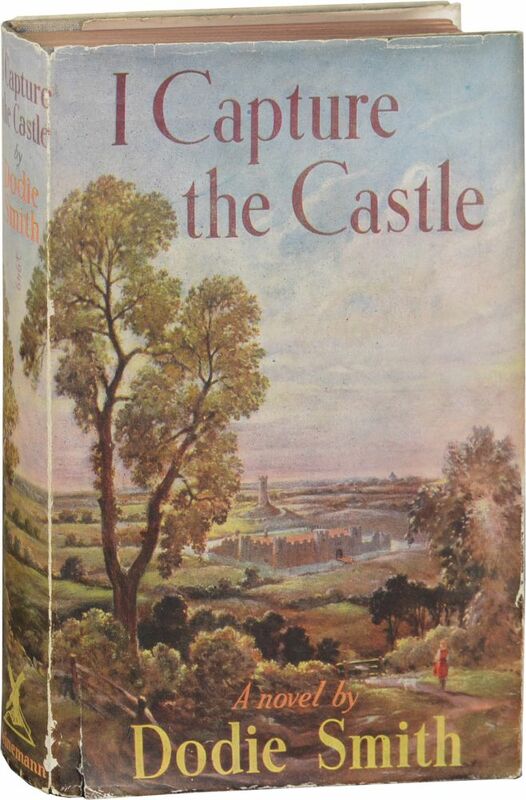 This book was written in the 1940s about a young woman named Cassandra who lives with her quirky family in poverty in an old, falling-down castle in England. Her dad once wrote a famous novel but now spends his days in an old gate tower, doing crossword puzzles and reading mystery novels. Her older sister Rose is a beauty who longs for a better life. Everything changes for them when the owner of the castle they’ve been renting from dies and the young American heirs arrive. It’s a heartfelt classic. This is the story about a seemingly haunted 100-year-old house that is told in reverse. It begins in 1999 with its current residents who are trying to unravel mysteries from the past. Then we go back to the 1950s and learn a bit more, and then to the 1920s when the house was being used as an artist’s colony. Finally, the story takes us far enough back in time to see the house being built. It had its flaws, but I had to keep reading to find out the answers to the house’s many mysteries. I’m a huge Moriarty fan and have all of her novels on my bookshelves. This one’s about a woman who is shocked to learn she’s unexpectedly inherited her ex-fiance’s aunt’s house (talk about awkward). It sits on Scribble Gum Island, the site of the infamous Baby Munro Mystery. In the 1930s, as the story goes, a baby girl was found all alone in a house on the island and her parents were never seen again. A couple of sisters took her in and named her Enigma. The house, which hasn’t been changed since that night 70-some years ago, has since become a popular tourist spot. Not Moriarty’s best novel, IMO (my faves are What Alice Forgot and The Husband’s Secret), but I enjoyed it anyway. I read this one for my Book Club last year and it got mixed reviews from the other members, but I really liked it. It’s about a 60-year-old real estate agent named Hildy Good in a small seaside town near Boston who just returned from rehab. She befriends a wealthy client named Rebecca who buys a house from her, and then things start to get complicated. I don’t want to spoil anything for you, but trust me, nothing in the quaint little town is quite as it seems. I was riveted until the end. One I read years ago in Jr. High was Thunderbolt House by Howard Pease (1944) – A mystery set in San Francisco in 1905. A house is inherited by a family from an estranged uncle. They move there and find the history of the house and the uncle that lived there. The descriptions are vivid, I still can see the octagon shaped entry, stained glass dome over the stairs, and the Ballroom beyond. Hi Rick! It’s amazing how some images from books like that can stick in your head for years after. I never read Thunderbolt House, but it sounds intriguing — thanks! 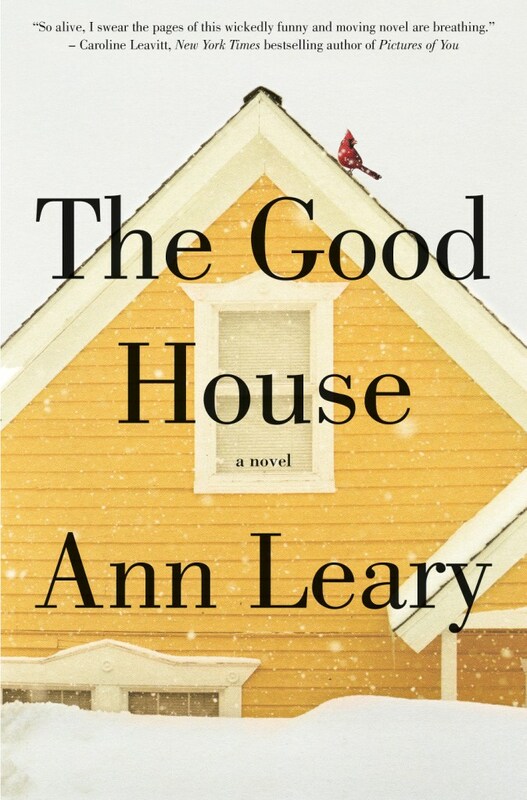 I love Laine Moriarty as well, and also loved The Good House. Have you read any of the Faith Sullivan books…The Cape Ann and Gardenias are my favorites. Olive Kitteridge was wonderful, and Stiltsville by Susanna Daniel is another one I enjoyed. So many good books, so little time! I’m not familiar with the Faith Sullivan books, so I’ll look those up. Thanks, Cheryl! Not necessarily recommending those based on houses, they’re just good books for your reading list! I think you’ve talked about it….but the house from Rebecca. I think the movie helped make that house come to life (it was a miniature they burned.) I also think about the House of Riverton that Kate Morton wrote about. Agreed. Rebecca by Daphne Du Maurier is a must read if you love Kate Morton and books which heavily feature the house. Manderley, the estate, is a character all its own. You will love it. I’m not sure if this actually qualifies, but a book I read at least 30 years ago comes to mind: House by Tracy Kidder. If your readers are interested in what goes into designing and building a house, without all that pesky check-writing, this is a good read. I love Tracy Kidder books and House was particularly fun. “Rebecca” is my favorite book. Love “Jane Eyre”, too. I’m not a big fiction reader (but a big reader of history & bios) but these books sound interesting..anything that features houses as a character in the story always appeals to me..especially very old books. Rosamunde Pilcher’s book The Shell Seekers describes a couple houses, but Penelope’s home is just awesome. She’s built a conservatory, double-dug the garden, and the descriptions of her kitchens (in her various homes) are just inspiring. If you haven’t read it, you should! Yes! Any Rosamunde Pilcher book has marvelous house descriptions, but the one that instantly comes to mind is “Coming Home”, my favorite. From the grand home Nancherrow to the ancient Dower House, the temporary lodgings of a WRNS barrack in tropical Ceylon, cheerful Aunt Biddy’s mismatch furnished cottages to Aunt Louise’s austere Windyridge, each house is described in such telling detail that you long to see them in person. It’s a long but wonderful book! I bought a book from Scholastic back in the 70s when I was in middle school called Hex House. I don’t remember much about it other than that a family moves into a house shaped like a hexagon, and I thought that was so intriguing! I’m reading an older Nora Roberts book right now called Midnight Bayou. It’s about a guy from Boston who moves to New Orleans to renovate an old mansion. It’s fun to picture the elegant old rooms and the hidden servant passageways and the graceful grounds. The mansion is haunted, but it’s not a scary book. A lot of Nora Roberts’ books feature beautiful homes or the renovation of old homes or the building of a new home, and she always gives lots of details that make it easy to imagine the settings. I find the love stories in her books irritating, but I keep reading them because I like the cozy descriptions of the pretty houses and all the baking and cooking her characters always seem to be doing. I also like the Isabel Dalhousie novels by Alexander McCall Smith. Those are short and quick to read and could get you a lot of books knocked off in a short amount of time if you’re going for quantity! Isabel is an independently wealthy woman living in a glamorous old house in Edinburgh. There aren’t a lot of descriptions of the house, just enough to make me know I’d love it, and I like imagining it. This was a fun post, Julia! Oooh, always looking for good books to read, thanks for the suggestions. And I’m sure you’ve probably read these, The House on Tradd Street by Karen White and others in the series. Great time to read them with Mardi Gras coming up, put you in New Orleans frame of mind. Thanks for the recommendations, Julia. I will definitely be reading a couple of these. I love books with a house as a character. One of my favorites is Blackbird House by Alice Hoffman. It tells interlocking stories of the people who live in an old house in Massachusetts from the time of the revolutionary war until modern times. As with most of Hoffman’s stories, a thread of magic and enchantment is woven throughout all the stories. I Capture the Castle is a wonderful read. Author Dodie Smith is more famous for having written 101 Dalmatians. My own nomination for a house – one that is chockful of great characters – is the Starkadder’s in Cold Comfort Farm. Read the book then watch the movie. For a novel written in the 1930s, the satire is still fresh and funny, and the movie is true to the source. LOVE Kate Morton – The Forgotten Garden is my favorite. The Lake House was wonderful, too. Even though I guessed the surprise fairly early on, that did not keep me from loving every page. And that house…..I wanted to walk through those grounds and look in those windows! If only it really existed somewhere….. These sound like good books. i will add them to my kindle list. I enjoy Mark Halperin’s Winter’s Tale… Its a very long book though – so not good if you are trying to read more books than someone else, unless you count the number of pages! Mark’s book spans a few centuries but describes a fictional quintessential New York that New Yorker’s will recognize. Bill Bryson’s “At Home” my absolute fav house book. I love that one, too, Christa. I found it fascinating! I Capture the Castle was also a great movie that you might enjoy watching. And, I agree with the person above who recommended Cold Comfort Farm. Both the book and the movie versions. Ohh I love this post…books and houses…2 of my favorite things. Wanted to throw the Flavia de Luce book series into the conversation. It’s a 7-book series starting with The Sweetness at the Bottom of the Pie. Maybe you’ve read them. Her home, the decaying yet stately Buckshaw Manor, situated in the English countryside, is the perfect setting for these charming, quirky books. The house comes complete with a chemistry lab on the third floor…perfect for this highly gifted 11-year old sleuth to mix potions and solve mysteries. Highly recommend these books if you haven’t already read them. Think Nancy Drew meets Jessica Fletcher/Cabot Cove with a dash of Pippi Longstocking thrown in. They are such a delight! I haven’t read any of those, Lindsey, but I was obsessed with Nancy Drew as a girl, who always seemed to solve mysteries in cool old houses. I’ll look these up — thanks! My book club has picked the next year’s worth of books and I’m sharing the list with you. There’s a variety of hi/low brow and hopefully some good reads. I loved two historical fiction books set in Paris: The House I Loved and The Paris Architect. I love you! I was looking for some new books to read and you’ve totally got me hooked by your descriptions. I already read The Last Anniversary–I’m also a huge Moriarty fan. Thanks! That’s one of my favorites, too! A classic. I love that there’s a read-aloud video of it — thanks, Richard. I loved this book as a child too. my kindergarten teacher read it to us in 1963, and I still think of it when ever I see a little old house being swallowed by the newer buildings around it. Classic! My favorite thing – books where a wonderful old house is as much a character as setting. I have read all but one of the books you mention. 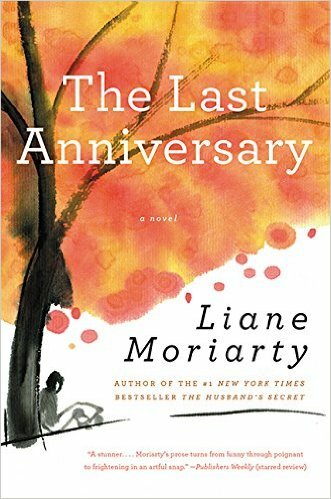 I believe I’ve read all of Kate Morton’s and Liane Moriarty’s – love them! 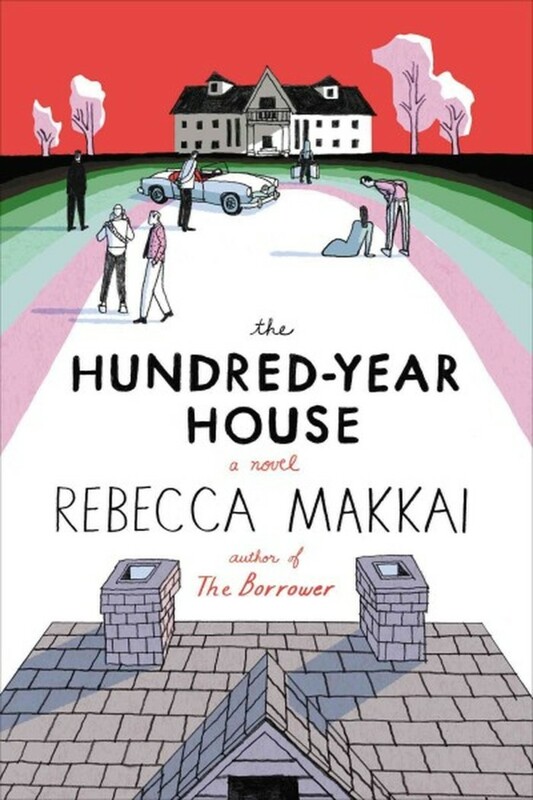 Didn’t read The Hundred-Year House because of negative reviews on Goodreads. (Are you on Goodreads? – I highly recommend it. You can see a lot of fictional house books in my list.) I of course prefer REALLY old houses like they have in England and Europe. My preferences were probably at least partially attributable to reading classics like Jane Eyre and all those romantic suspense novels of the 60’s and 70’s featuring mysterious or haunted castles or manors (and even Nancy Drew had a lot of house-centric mysteries). Today I prefer sunny and charming cottages – in my house and reading preferences :-). Just put “Cottage” in the title and a cute cover and I’ll be drawn right to it. In fact, it was a picture of a timbered cottage that attracted me to one of my favorite all-time books. It may be hard to find now but is one I like to re-read and has a wonderful old English cottage and garden at its center: The Scent of Water, by Elizabeth Goudge. (In fact, many of her books have wonderful houses in them.) Right now I’m reading Virginia Woolf’s Garden, with wonderful photos of her garden and home known as Monk’s House. Hi Carolyn! I’m not on Goodreads, although I do go to their site to read reviews a lot. The Hundred-Year House did get mixed reviews, and I wouldn’t say it was the best book ever or anything, but I enjoyed the unique way the story was told, going backward in time until all the secrets were revealed. Kind of different. I can’t resist an old house with a mystery! P.S. Forgot to mention ‘I Capture the Castle’ is also one of my faves – both book and movie. Okay now I know we are BFFs. I love to read and all my favorite books have a great house as a character. Second all the books mentioned! Thank you so much for the reading suggestions from you and the others. I love the comments, read this as a child and the images stayed with me. I was working north of Washington D.C., I did the Revolutionary War, Civil War related locations. My favorite was to visit and took people to tour Jefferson’s home, Monticello, which he designed. My recommendations, house related, are the same, Rebecca, The Ghost and Mrs. Muir, I Capture The Castle, read Nancy Drew as young adult with titles like Secret of the old house, Agatha Christie autobiography, speaks wonderfully of the houses she lived in and Greenways, purchased, where she and her husband, descendants have so many happy hours. The original television series, Upstairs, Downstairs describes the life of London upper class homes. Rhys Bowen’s books, has different series, set in Wales (Evans), Scottish Castle and London townhouse ( Royal Spyness mystery),New York (Molly). Enchanted April from post WWI dreary weather London to Italian palazzo overlooking the sea with sunshine and wisteria. Thanks for the suggestions. I agree with most, if not all the above suggestions, but did not see one for CHINA COURT by Rumer Godden. This is a WONDERFUL story about a ‘country house’ in England and the people that lived in through different time periods. It’s dated, but I periodically re-read this story. The link of families and homes come thru clearly in this book! It’s out of print, I’m sure but you can probably acquire a used copy via Amazon. What about the very scary Haunting of Hill House by Shirley Jackson. There have been two movies made from both called The Haunting the one made in the 60’s was pretty faithful to the book and the one made later, in the 90’s I think I’ve never seen. First truly scary book I ever read. Thanks for the book suggestions! These all sound wonderful. I want to add the Coming to Rosemont series by Barbara Hinske. Rosemont is a stately manor home that becomes a major character in the series. The descriptions of the house in the books allow you to easily picture what it would be like to live there. From the grounds, to the amazing kitchen, to the sweeping staircase, I think I’d like to live there! Wuthering Heights, of course and Pride and Prejudice, Mansfield Park and Northanger Abbey. My favorite book when I was a girl is called,”The Pink Maple House”. The book is a bit out of date now, but I just love the name. In Jr. High I read a book that became a fave called Miracles on Maple Hill and always imagined living in that old house in the woods. i still have a copy of that book on display in a hutch because of the cozy feeling it envokes. That’s a venerable Newbery winner from the 1950s. It will please you to know that it is still in pretty frequent circulation in our elementary school library. I loved this post, as my favourite books are usually like my favourite movies “about the house” I love the anita shrieve books and Sea glass was my first and favourite, several of her books are set in the same house at different periods of time, as a sort of background character. A beautiful old house on the coast near maine. The Children of Greene Knowe series (children’s/young adult lit) by Lucy M. Boston features a mysterious, mystical and somewhat haunted ancient manor house. the best thing is that this manor home actually exists and can be visited. The Manor, Hemmingford Grey (in the UK) was the author’s actual home and recreated faithfully in her series, in fact were as much main characters as the people. (this is a WONDERFUL series that is not well known here in the states). I was waiting for the Greene Knowe series to be mentioned. They are magical books for children, and better still when read to a child you love. Decent editions are a bit hard to come by these days. Thanks for this post, Julia. I enjoyed reading about these books. I’ll have to check them out. My favorite novel, about an old house, is The Victorian Album, by Evelyn Berckman, which was published in 1973. This story keeps me riveted throughout, and has a surprise twist at the end that sends shivers up my spine! Read the 100 Year house this summer too. Well, what a wonderful list! I have added to my wishlist many of those in your post, as well as those from the comments. I think that people who love houses also love to read books about houses, and to ponder the lives of the people who lived there. As an aside, I took a creative writing class and spent the time writing the story of my grandmother’s house. Most of the others in the class wrote about people, but my story told about the people from the perspective of what the house had seen. Room by room. The house was so close to my heart that I wanted my children and grandchildren to know about it. I am surprised that Manderly, the estate in Daphne Du Maurier’s Rebecca was not included in this list. This grand home was central and necessary in the telling of this gothic story; in addition, this was the first time I encountered a novel in which a house could be considered a character in its own right. Thank you for your response! I wasn’t reading the post in one sitting (caring for 3 children distracts me) so I missed the key part about RECENTLY READ!!! I just started The Lake House – so many other good ones mentioned here too. I just finished The Paris Architect and it was amazing!!! Highly recommend. Love your blog – I’ve been following it for years and it has been a delight to see it grow! I Capture the Castle has been one of my top five all-time favorite books since I was a pre-teen–and I still read it every couple years, though I am now 47. A fabulous house and brilliant characters and writing. I can’t believe it’s not more well known. Oh, and The Velvet Room is a must-read. It may be a children’s book but any adult will enjoy it, particularly the very old Spanish mansion with the secret tunnel and the “ghost”! Someone earlier mentioned Rosamunde Pilcher. She is a master at describing houses. Years ago when I had read “The Shell Seekers”, it came out as a tv-movie (with Angela Lansbury as the main character) and to my surprise the house they used in the film was exactly the same one I had imagined in my mind when I was reading the book! Her “Coming Home” is one of my all time favourite books. I’ve lost count how many times I’ve read it and listened to it as an audio book. Great houses! Jane Green’s “The Beach House” has a wonderful house in it. I don’t know if anyone has mentioned the book, “Maine” by C. Sullivan (I think) which is about a family’s vacation home in Maine. I loved it and the cast of characters! 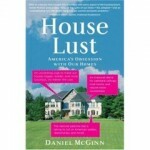 The book isn’t so much about the house as the inhabitants. I hadn’t heard of that series — thanks, Barbara! Anne Rice’s The Witching Hour is full of amazing houses, from SF to New Orleans. The heart of the story is a wonderful Garden District mansion that’s actually based on a real house. However – as with all Anne Rice novels – it is not for the faint of heart. As a girl I read Frances Fullerton Neilson’s teenage novel, Look to the New Moon. Lovely description of a New England house in that. The books of Marcia Willett always have lovely descriptions of houses in them, often on the moors or by the coast in Devon, England. Her trilogy the Chadwick Chronicles is about a house close to Totnes in Devon, anyone who loves English houses would love this series.